AMD over the weekend held a live webcast in which they celebrated 30 years of graphics and gaming innovation. The chip maker used the opportunity to announce a new mid-range graphics card expected to hit retail early next month. As the name suggests, the Radeon R9 285 is the successor to the Radeon R9 280 and is being positioned between the R9 270 / 270X and R9 280X with an MSRP of $249. The card will feature 1,792 stream processors, 112 texture units, 32 ROPs and 2GB of GDDR4 RAM with a memory clock of 5.5GHz / memory bus width of 256-bit. If that's not enough memory, we are hearing that some third-party manufacturers will release variants of the card with 4GB of memory. Connectivity options, meanwhile, include a full-size DisplayPort, two DVI ports and an HDMI port. The R9 285 should be a bit more efficient than the R9 280 with a power rating of just 190 watts versus the 250 watts of its predecessor although it'll still require two 6-pin power cables. We also understand that it'll use the Tonga Pro GPU system. At a clock speed of 918MHz, AMD claims the R9 285 is capable of up to 3.29 TFLOPS. 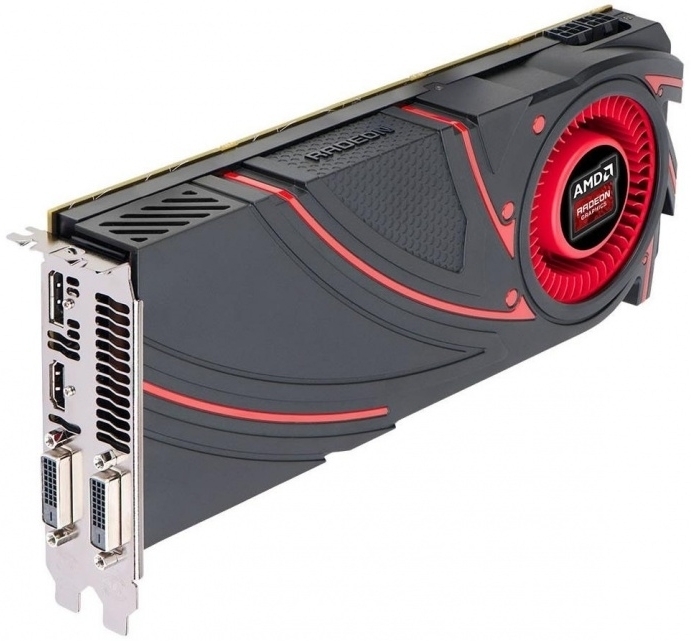 AMD is launching the Radeon R9 285 on September 2 at the aforementioned MSRP of $249. Now that graphics cards have become impractical for virtual coin mining, inventory shouldn't be an issue like it was late last year.